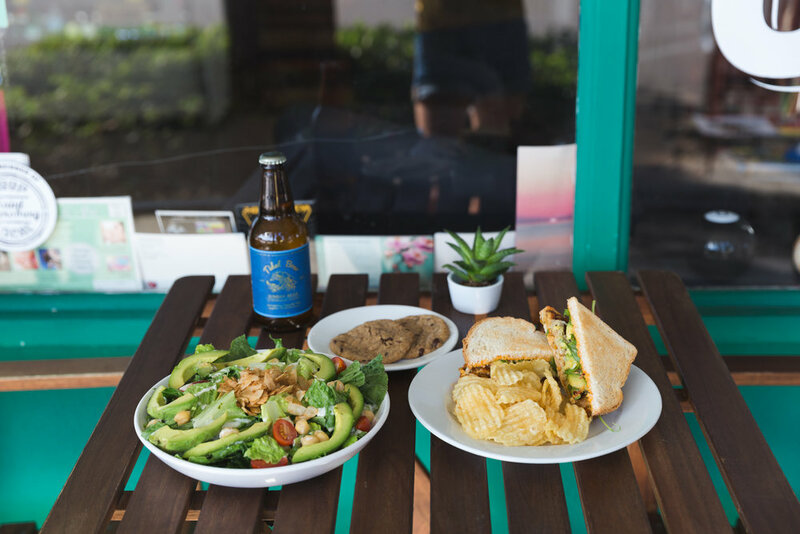 Love Food Central is a St. Pete café serving vegan & gluten-free comfort food. 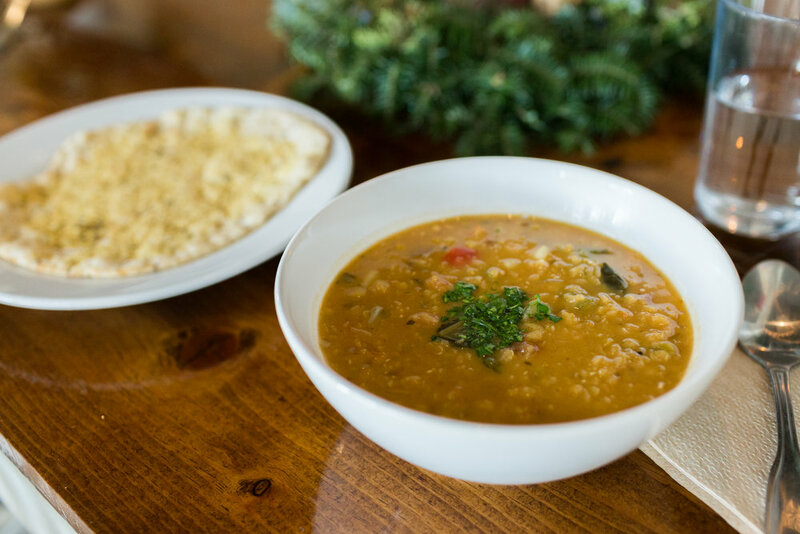 We use organic, local and non-GMO ingredients whenever possible! Check our Social Media for current Dinner Specials! raw homemade nut cheese seasoned with black truffle oil and pepper served with raw crackers & local fruit jam. toasted sourdough bagel* half topped with mashed avocado, fresh lemon, organic sprouts, Himalayan salt and paprika. 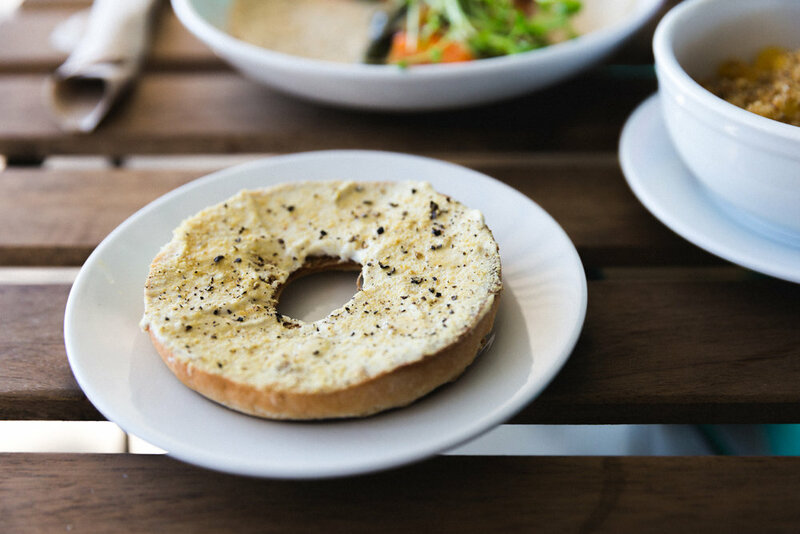 toasted sourdough bagel* half topped with cashew cream cheese and seasoned with nutritional yeast, truffle oil, Himalayan salt and ground pepper. 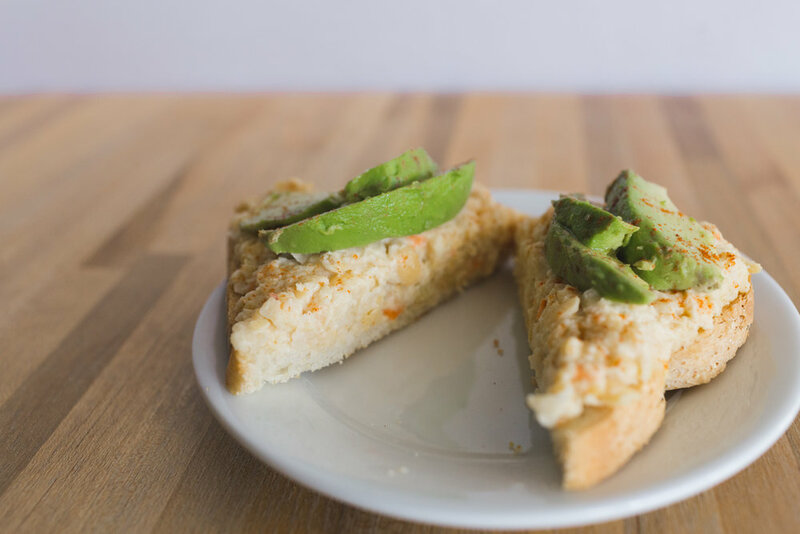 smashed garbanzo salad on a piece of sourdough toast* topped with avocado and seasoned with fresh lemon juice, sea salt, and paprika. smashed garbanzo salad on 2 separate romaine leaves, seasoned with fresh lemon juice, sea salt, and paprika. slices of apple with vegan caramel dipping sauce. one piece of sourdough toast* with organic sunflower butter and slices of banana. homemade granola and homemade cashew milk. *We use Sami's Bakery, their breads and bagels have been made in a facility with other wheat products. local kale massaged with caesar dressing, sprinkled with toasted pine nuts, housemade vegan parmesan cheese and capers. 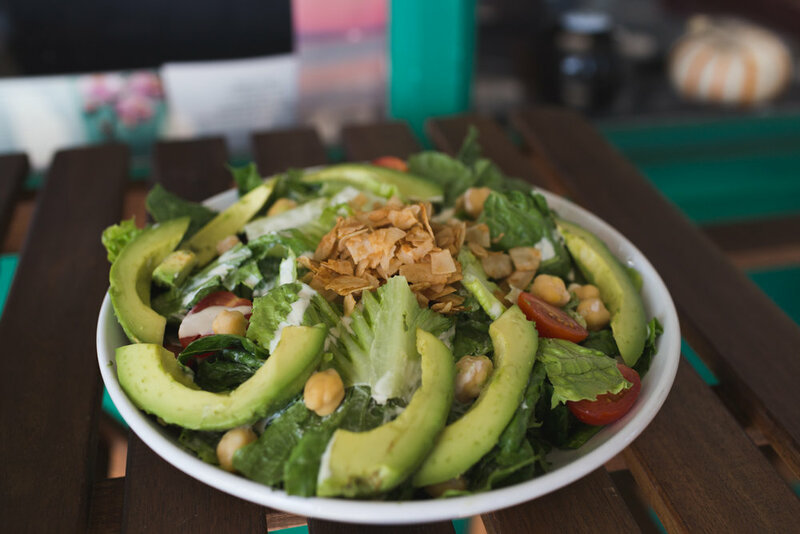 romaine lettuce, avocado slices, garbanzo beans, grape tomatoes and coconut bacon topped with a creamy dressing. 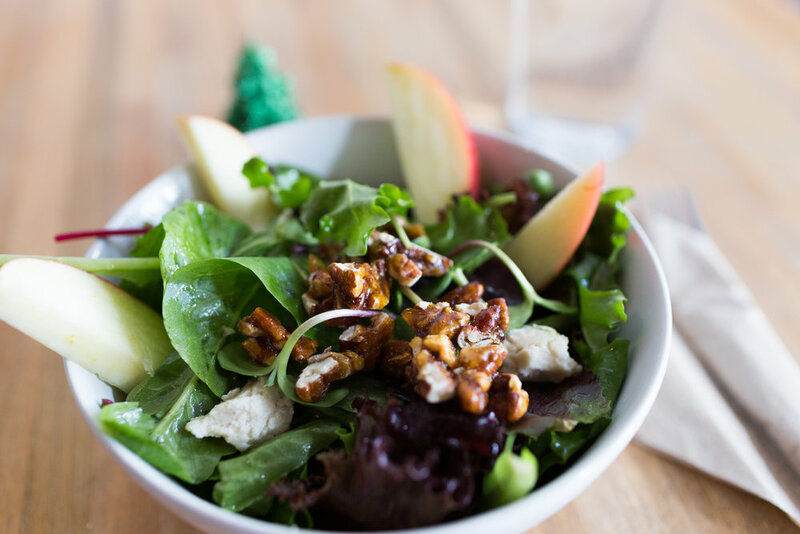 mixed greens, raw homemade nut cheese, seasonal fruit, candied nuts (or seeds) and organic sprouts with a tangy lemon dressing. buffalo garbanzo beans on romaine lettuce with grape tomatoes, avocado slices and topped with our homemade cashew ranch dressing. YOUR CHOICE OF SIDE: CHIPS, SIDE SALAD, POTATO SALAD, SEASONAL SIDE. 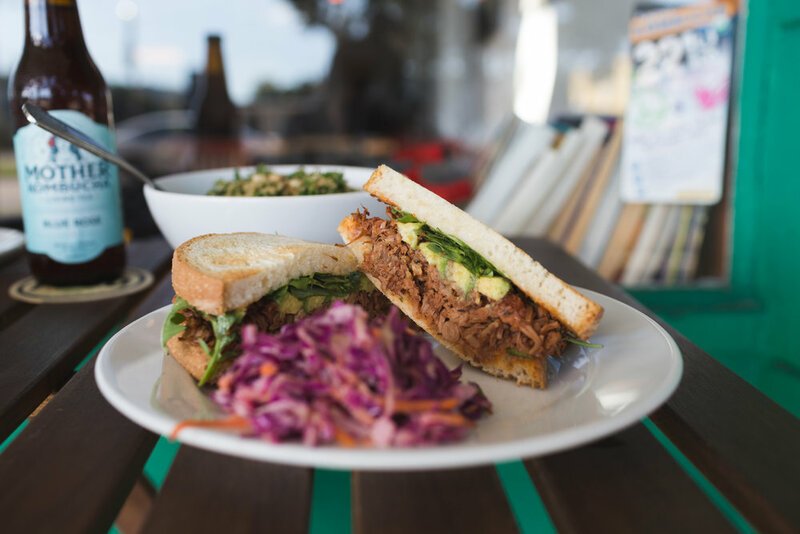 savory jackfruit sandwich served with arugula and avocado on toasted sourdough* with soy-free veganaise and bbq sauce. smashed garbanzo salad on toasted sourdough with soy-free vegenaise, romaine, tomato slice and avocado. roasted carrots, zucchini, cremini mushrooms, onions and red pepper on warm lavash with homemade pesto. 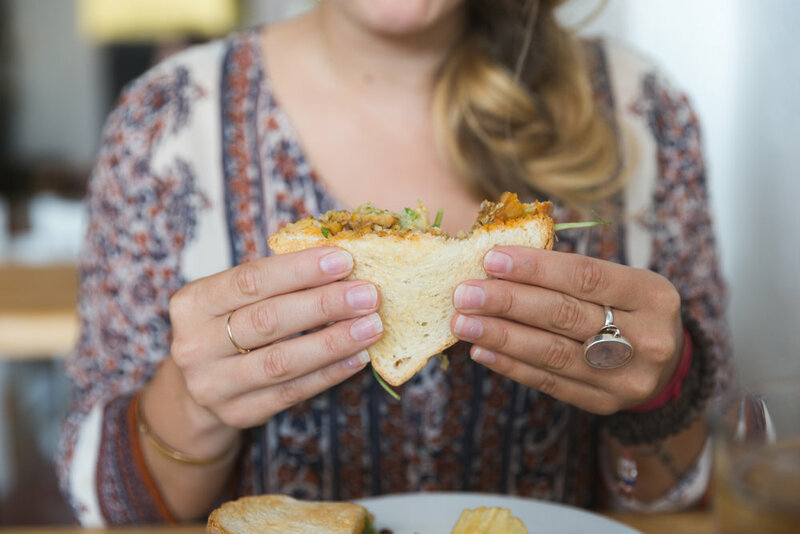 seared tempeh tossed in buffalo sauce served on toasted sourdough with soy-free vegenaise, romaine, tomato slice and a drizzle of homemade cashew ranch dressing. 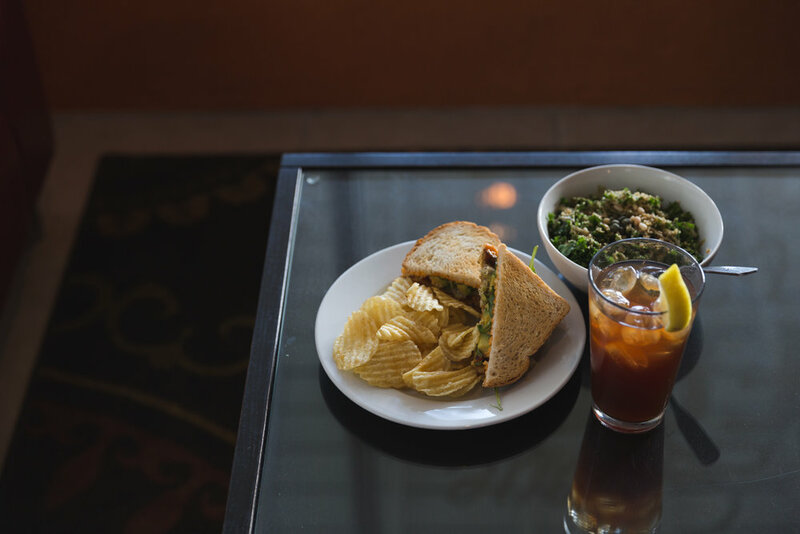 grilled tempeh served with sauerkraut, avocado, and arugula on toasted sourdough* with a spicy "awesome sauce." our homemade love burger on toasted sourdough with spicy “awesome sauce,” arugula, sautéed cremini mushrooms, and avocado. Includes a side of chips. homemade beet & black bean burger, served with arugula, cucumber and sauerkraut on toasted sourdough* with soy-free veganaise. Includes a side of chips. We specialize in vegan and gluten-free desserts! Check our display case for Desserts of the Day! Get in touch! For any questions or just to say hi, fill out the form below!